Musings on… Wrath and Vengeance. My first love… okay, not really. I also enjoyed “offing” those Sims I just didn’t like or grew tired of by making them swim in their pool and then removing the ladders. They’d swim and swim and swim and tread water. They’d look up and wave at me that they were tired. Or hungry. Or had to pee. Or all of the above. They were always whining about the fact they were about to perish. Then the moment came that their little algorithmic life slipped away. Enter the Grim Reaper. I always had a good laugh when he appeared. Then I giggled when people mourned (aka wailed and cried) over the urn or headstone that appeared. Does that make me a sick and twisted individual? Maybe. 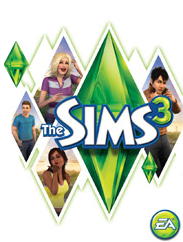 The years passed and The Sims became The Sims 2 which became The Sims 3. The latest addiction… I mean addition. I hadn’t played The Sims 3 for a couple years now, my old laptop became unable to handle the memory load. Sunday, while sitting and pondering at the desk, my eyes grazed over the discs and the light bulb over my head went off. I grinned mischievously and installed disc after disc (I only have about a quarter of the version three disc expansion sets), ran updates and more updates and after about four hours of expanding and updating, I began my game. First character? Yours Truly! Well, my alter ego. She’s doing very well thus far. My second citizen is a dear friend, and she’s already reached the top of her ultimate goal, even having traveled to France. No Grim Reapers for people. Not yet anyway. And free will? They have a “minimal” amount – basically the least amount I can give them without removing it completely. I’m not always wrathful and vengeful. 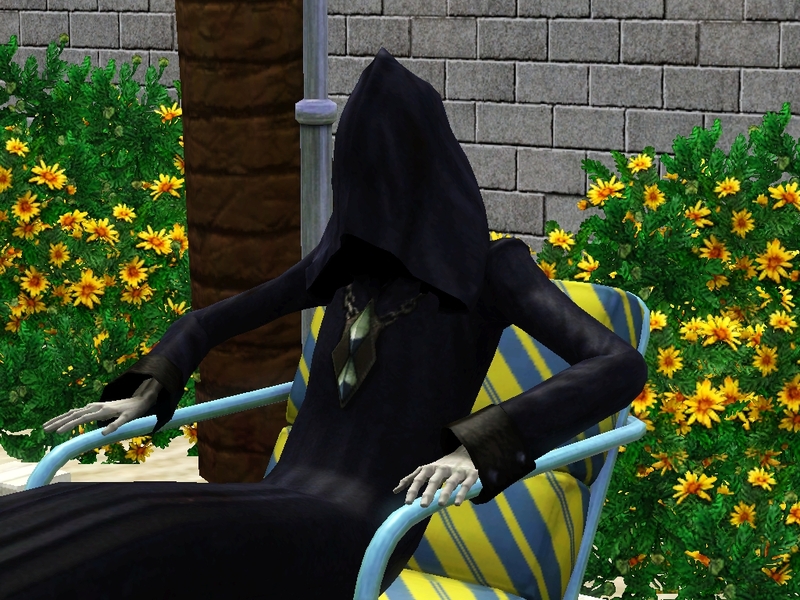 This entry was posted in Musings, Personal, Random Thoughts and tagged algorithmic life, Bible Thumpers, free will, I am a god, I am god, The Sims, The Sims 2, The Sims 3, The Sims Grim Reaper. Bookmark the permalink. 2 Responses to Musings on… Wrath and Vengeance. I hear know bibles and when the good christians come calling, I remind them that eve the big man himself wasn’t a christian. Stops em dead in their tracks and irks their wrath. If I were to add to that that I know or am a Sim God, well, that would certainly be fun to see. I almost look forward to the Saturday morning, briefcase welding, door thumpers…almost.